ORANGE- Linda M. (Cornwell) Brown, 71, of West Main Street, died Tuesday, June 5, 2018 at Wachusett Manor Nursing Home in Gardner. Born in Orange on May 19, 1947, she was a daughter of Earl Sr. and Shirley (Kidder) Cornwell and graduated from New Salem Academy in 1965. Linda married her high school sweetheart, Harry Brown Sr., a few days after graduation and they would spend just a few days short of their 53rd wedding anniversary. After graduation, Linda worked several small jobs but mostly answered the phone for her husband’s business, Beulah Land Maintainers. Her real ambition in life was being wife, mother and grandmother. 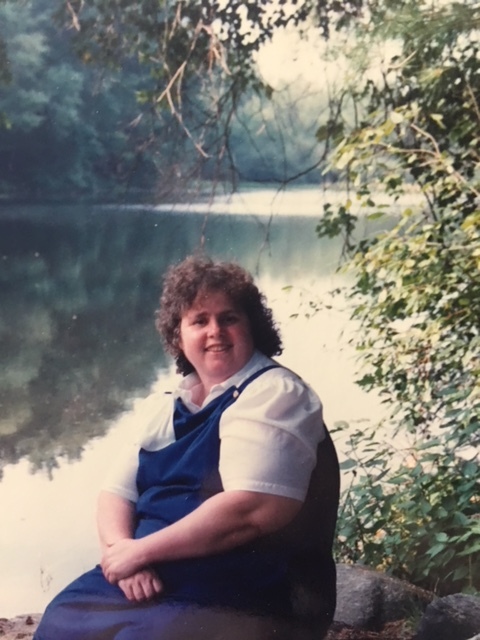 Linda especially liked making cookies, brownies and cakes with the young ones, and was an active member of the Northfield Baptist Church. She enjoyed antiquing, and yard sales with friends and family as well as daily phone calls. Linda leaves her loving husband of 52 years, Harry Brown Sr. and beloved dog, “Sofie” of Orange; daughter, CaroleAnn Knechtel and her husband, Dana, of Orange; a son, Harry Brown Jr. and his wife, Nicole, of Ohio; daughter, Rebecca Fisher of Orange; grandchildren, Paige Gonzalez, Devin and Dominick Knechtel, Aleah and Sebastian Fisher of Orange, and Jonah, Ethan, Gracie, Chole and Emeline Brown; siblings, Gary Cornwell of Orange, Donald Cornwell (Paulette) of Long Island, Maine, Sharon McLean of Athol, Robert Cornwell (Cathy) of Orange, Richard Cornwell of Bernardston, Kenneth Cornwell of Greenfield, Darrel Cornwell (Diane) of Northfield and Brian Cornwell of Greenfield; a sister in law, Geraldine Cornwell of Erving; as well as nephews, nieces and cousins. Besides her parents, Linda was predeceased by brothers, Earl Cornwell Jr., Howard Cornwell, Rodney Cornwell, and David Cornwell. Calling hours will be Friday, June 22, 2018 from 6-8 p.m. at Witty’s Funeral Home, 158 South Main Street, Orange. A funeral service will be held Saturday, June 23, 2018 at 10 a.m. at Witty’s Funeral Home in Orange with Rev. Dennis Jacob of the Northfield Baptist Church officiating. In lieu of flowers, donations are suggested to Camp Northfield Scholarship Fund, c/o Northfield Baptist Church, 87 Main Street, Northfield, MA 01360 or to the Town of Athol, memo- North Quabbin Animal Shelter, c/o Athol Police Department, 280 Exchange Street, Athol, MA 01331.